Just over a week ago the International Committee of the Red Cross said it was sending two surgical teams, medical specialists and supplies to the struggling medical systems in the Gaza Strip, which has been overwhelmed by recent violence. "Thousands of Gaza residents are confronting new, long-term medical needs that the health care system simply can't handle," Robert Mardini, ICRC's regional director of operations for the Near and Middle East, told journalists. Since protests and associated violence flared on March 30, more than 13,000 Palestinians have been wounded, including more than 3,600 by live ammunition, some multiple times, for an estimated total of nearly 5,400 limb injuries, the ICRC said. The narrow strip of land on Israel's coastline that is Gaza is beleaguered in the standoff between Palestinians and Israelis, and its 1.5 million people need all the humanitarian help they can get. A team of doctors and nurses from the Lutheran World Federation's Augusta Victoria Hospital, in Jerusalem, has been in Gaza supporting medical teams tending to Palestinians wounded by Israeli forces earlier this week. In addition to the team of specialists, supplies of medicine and medical goods worth 25,000 euro Gaza were also sent. The team worked out of Al-Shifa hospital. The LWF said it responded to a call from the World Health Organization and the ICRC to assist in responding to the healthcare crisis in Gaza. The Augusta Victoria Hospital team reported that the situation is extremely difficult. Injured are brought to the hospitals, but there are insufficient staff, supplies and infrastructure to properly care for them. The WHO has asked for additional emergency doctors and nurses. 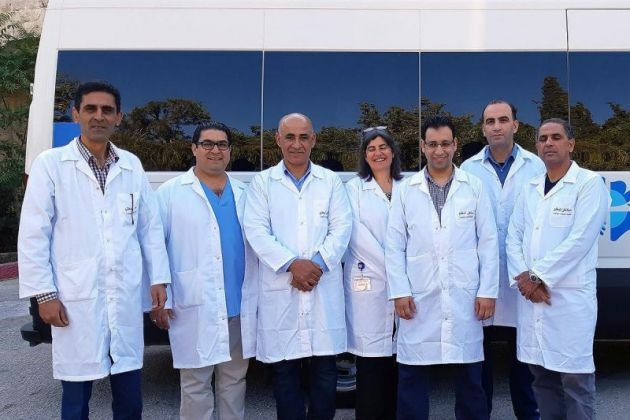 Augusta Victoria Hospital chief executive officer, Walid Nammour, praised the role of the Palestinian humanitarian team in its work to provide medical assistance. "We do not merely sympathize with the people in Gaza, we feel their pain and stand with them," said Nammour. LWF Jerusalem program representative, Pauliina Parhiala, said health facilities in Gaza continued to be insufficient to meet the urgent medical needs. Besides the number of wounded and hurt, some medical staff had been injured. Health facilities, such as ambulances, have been damaged. The capacity is simply not meeting the needs, she said. It is worrying as the Gaza health services are already limited and suffering from shortages of medicines and supplies. Fuel and electricity crisis continues. "These add to the overwhelming situation the Gaza health care finds itself," said Parhiala. "The capacity is simply not meeting the needs. It is worrying as the Gaza health services are already limited and suffering from shortages of medicines and supplies. Fuel and electricity crisis continues," she said. She said that during the Muslim holy month of Ramadan, and the high number of individuals still not having received adequate treatment, the LWF was expecting even greater emergency needs.